In a candidate-driven market, it’s important to position your recruiting team for success by giving them the tools and tactics they need. This is doubly true in high-volume hiring events, where your recruiters will have to compete directly with other organizations for candidate attention. Make sure your recruiters are on the same page regarding the company’s goals with respect to the event. What kind of roles need filling? What kind of candidates should the recruiters look for? How many candidates should they try to reach? All of these questions need to be answered before the event. The event sponsors may provide you with tools for tracking and engaging event attendees. If so, recruiters should take time ahead of the event to learn how to use these tools. You may also want to consider investing in your own event management technology so that recruiters will have the right tools no matter what event they attend. Your recruiters should have a strategy before heading into the event. To help execute this strategy, they’ll need to be tracking the right metrics. Work with your team to determine which metrics are most relevant and how to track those metrics. What is your strategic goal? Do you want to reduce sourcing time? Hire X number of people? What is your execution strategy? How are recruiters going to reach the strategic goal that has been set? 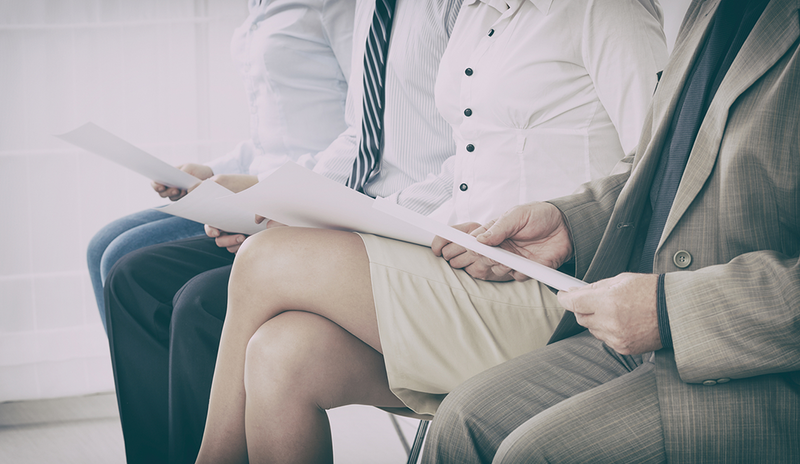 It’s easy to get overwhelmed by the sheer number of qualified candidates at a recruiting event. While it’s great there are so many people for your recruiters to talk to, you need to have a plan in place to ensure every conversation is productive. Before the event, determine how recruiters will approach candidates, the topics they’ll focus on, and the questions they’ll ask. It’s especially important to communicate details of the application process to interested candidates. If a prospect hands you their resume or contact information, you should be able to tell them where their information is going. The candidate should also leave your table knowing when and how they’ll hear back from you regarding their status. If the event in question offers access to a registrant communication hub or similar platform for engaging attendees, it will be much easier to record candidates’ details and stay in touch after the event. Alternatively, your organization may want to consider investing in its own recruiting event technology if the event does not offer any. To engage candidates more fully, use the registrant communication hub to contact them before the event to let them know you’re interested. During the event, you can use the hub to send the candidates who visit your booth a quick thank-you message containing next steps. After the event, you can use the hub to follow up and get the application process moving. If you’re going to a high-volume event, you’re going because you need to hire a lot of people in a short amount of time. It’s important to manage your time well at the event to get the most out of every interaction with a candidate. Use any tools available to your team to communicate efficiently and track candidate data effectively. A mobile recruiting app is a good idea here, as recruiters can use it to capture candidate information quickly. To catch candidate attention more easily, be sure to heavily promote the company culture. This is the kind of detail that gets candidates interested and keeps them engaged, even once the event is over.